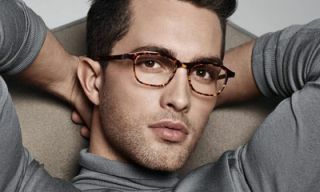 Now Lindberg is worldwide leading manufacturer of highly unique and individualistic eyewear made with a thoughtful promise of exquisite design and engineering excellence. In fact, it has whirled in 59 international design awards, and this includes the 1993 design of the century awards at the Grand Palais in Paris. And not every optometrist gets the privilege of selling Lindberg! The company works with a selected group of specialists who are skilled to tailor the frames according to the customer’s needs, even at a short notice. In this way it brings a personalized element to an engineering product. Lindberg frames are one of the lightest frames manufactured on the planet – along with being unbelievably strong and flexible. The lightness is echoed by the design in which everything superfluous – such as rivets, welds and screws – have been removed. In order to ensure perfect quality, Lindberg retains its team of seven highly skilled designers and engineers but does not let them overlap at all. They understand customer’s demand for a fashionable chic design and make it happen through their dedicated team of engineers. 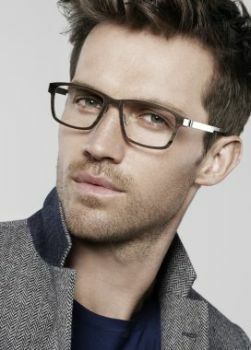 Lindberg likes to provide a personal touch to all frames and has a robust monitoring mechanism. This makes them a little opposed to outsourcing practices, however, their frames get the best and finest handwork through Philippines plant. The original Danish custom made designed frames weigh as little as 1.9 grams and are made from untainted non-allergenic titanium. Lindberg uses only a particular type of titanium that is exceptionally lightweight, flexible and strong, which is also used for dental regulations and pacemakers. 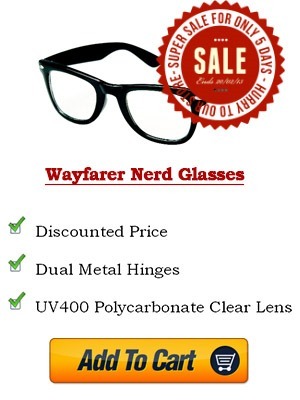 The original screw-less design gives your glasses the most sophisticated look. The emphasis of the frame is on lightness and comfort. To achieve the flawless fit, each pair is created in accordance with a customer’s facial measurements – it never slides or slips around! The color on these handmade glasses does not chip due to the electrolysis technology deployed. Specialized nose pads guarantee the greatest level of comfort. The packaging leaves one pleasantly surprised: the quality equals that of a high end watch box. Truly for customers, who do not want to compromise on style and perfect engineering! The Lindberg glasses are worn by a number of celebrities such as Brad Pitt, Simon Cowell, Nick Hewer, Daisy Lowe and a number of famous politicians. The wealth of unique color combinations and limitless number of shapes and styles make these glasses a true hit. It is all about clean solutions: light weight, custom fitting, flexible, hand crafted and great functionality minus the screws! The Danish Royal Family, business tycoons, politicians and high-profile celebrities all wear the Lindberg. The company has been granted an exclusive “Royal Warrant Appointment by the Danish Court“. This is a privilege granted only to leading companies that furnish goods to the Royal Family. The elegant Lindberg Precious collection is truly exclusive! The statement spectacles are crafted of 18-carat solid gold, platinum, musk, buffalo horn, and ox horn. These are inlaid with diamonds, and mammoth tusk – isn’t it pure luxury? The natural horn frames are truly unique. Combining rare organic material with the modern design and smart engineering approach, each temple boasts unique variations of color and markings. The real statement accessory that will last a lifetime. Darker frames create hipster’s look that some of the customers find so appealing while lighter patterns are melting with color of your skin. These glasses are amongst the lightest specs in the world – along with being luxurious, comfortable, strong and flexible, reflecting Lindberg’s commitment to impeccable craftsmanship, technical innovation and aesthetics. Even the most bejewelled of Lindberg frames are discreet, they are truly an indulgence that is not loud, that cares about comfort first, and that is fashionably simplistic! The crafting processes are so much personalized: from the time a customer makes an inquiry to the moment he receives the fittings, he is treated like a special individual. And what is more, he is called for a special service appointment, just to ensure that his Lindberg glasses stay and look as good as it did on day one! Company never compromises on the customer service!